Whenever foodies come to visit the Bay Area, they often assume that they should go to San Francisco for the #classy fare and only hit up Berkeley for the #hipster joints. While these stereotypes may hold true for Berkeley’s vegetarian- and vegan- friendly restaurants, not all of Berkeley’s food fare can be considered #hipster. Doubtful? Here are 43 of Berkeley’s best local eats that are occasionally #classy, sometimes #weirdaf, periodically #hipster but always #foodporn. Perfectly poached pears sit atop fluffy pancakes, flavored with just the right amounts of lemon and gingerbread. Though the latter is often associated with the winter season, this brunch plate is offered — and delicious — all year round. 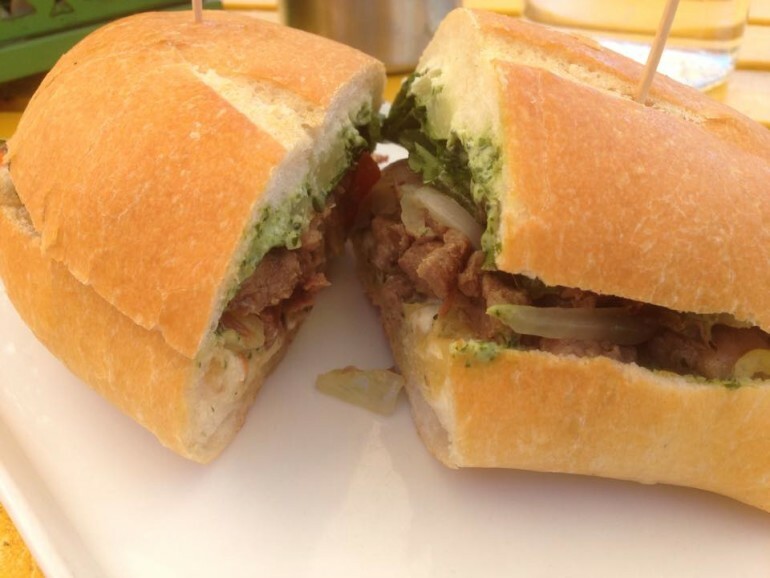 One of our writer’s favorite food in Berkeley is this beautiful combination of juicy tri-tip meat, grilled onions, lettuce, jalapeños, olives, pineapple and Pedro’s specialty garlic cilantro sauce. Once you’ve tried it, you’ll understand why. These tiny potato balls may not seem like much, but they’re always perfectly crispy and salty on the outside; light and puffy on the inside; and more than filling enough to share with a friend. 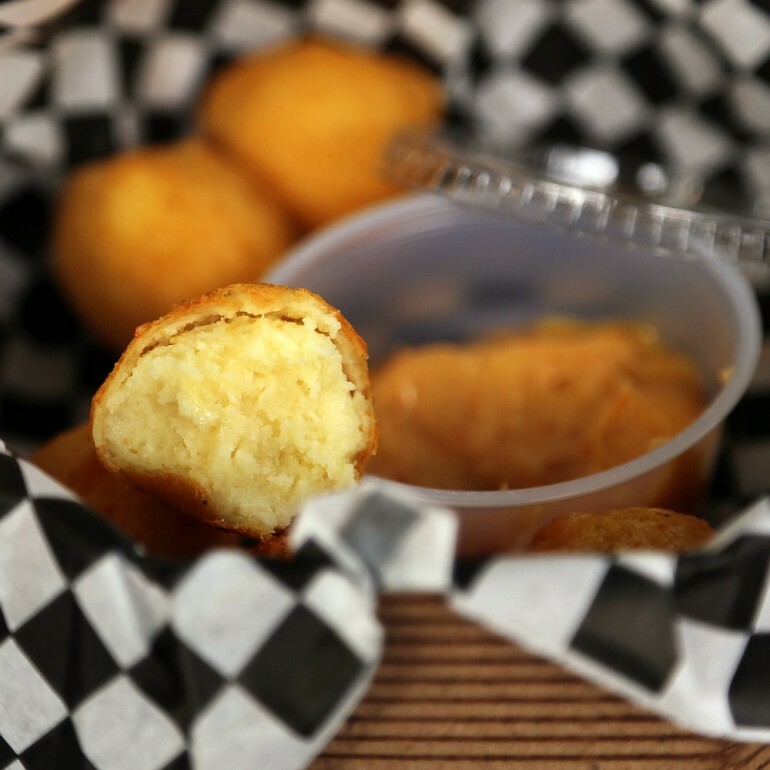 Angeline’s deep fried hush puppies — traditional cornmeal fritters — are served with delicious honey butter. While the texture is crispy, each bite seems to melt in your mouth. 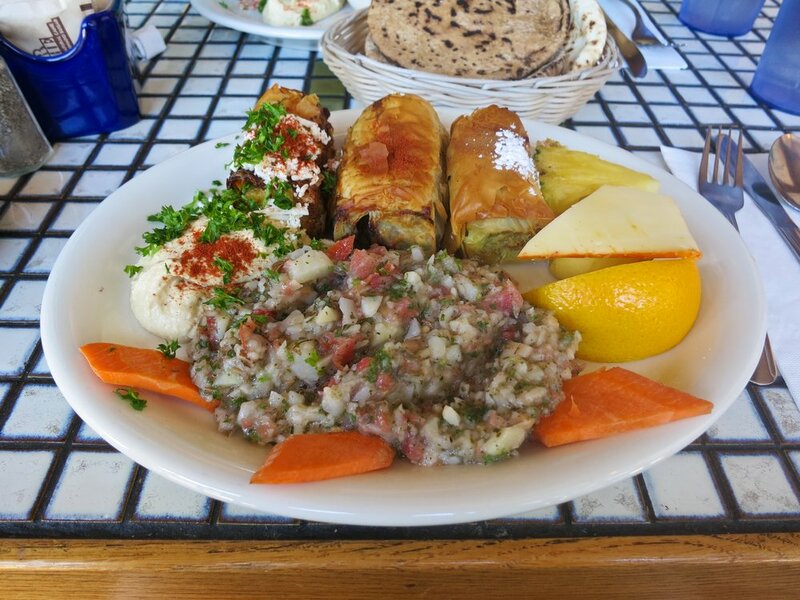 La Mediterranée — “La Med” to locals — offers a wide variety of plate choices so you can sample a variety of their specialties. Their fillo combination plates allow you to choose three of four fillo — flaky dough wrapped around either savory or sweet fillings — rolls, and you can’t go wrong with any of them. Some of Cheese Board’s pizza topping combinations may look a bit bizarre, but trust us — they know what they’re doing. 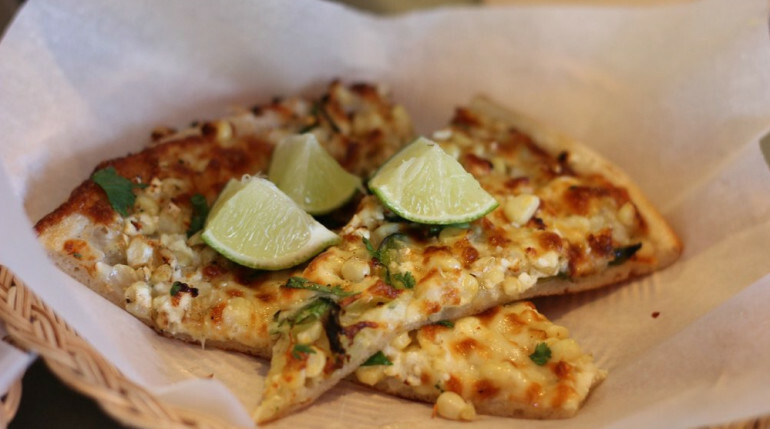 Our team’s agreed-upon favorite is any pizza that offers corn on top. To make it a true #hipster Berkeley experience, take your pizza and eat it out on the island in the road. 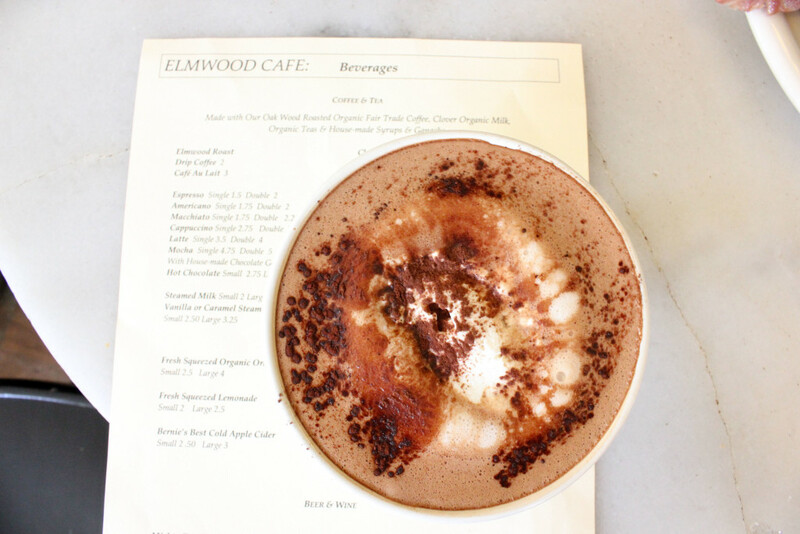 As if hot chocolate wasn’t already indulgent enough, Elmwood takes the entire experience a step further by serving it to you in a bowl. This rich drink is perfectly sweet, filling and another one of our team favorites. 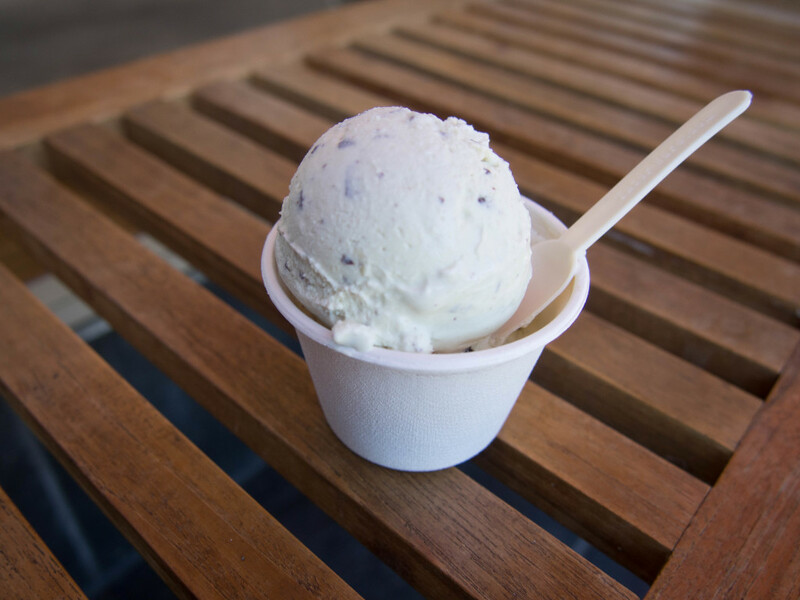 Ici makes its own ice cream each day and offers a different selection of choices daily. 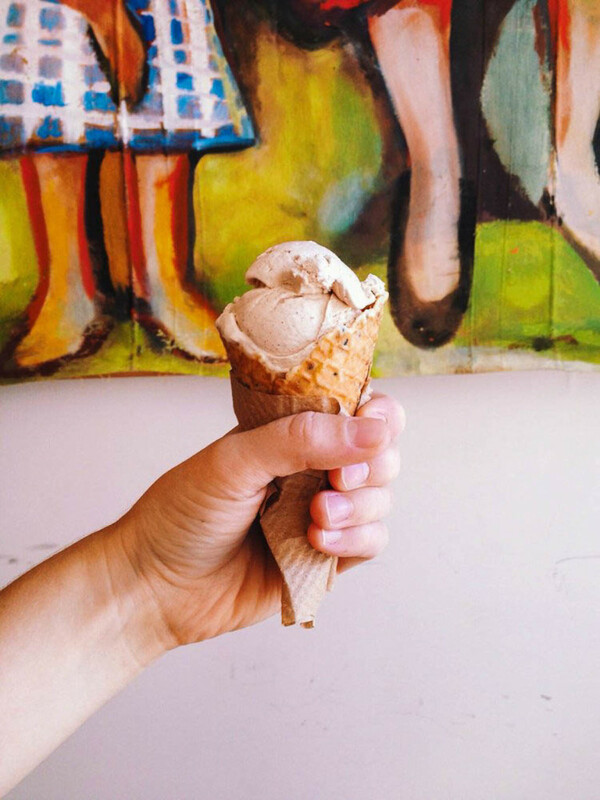 All of them pair fantastically with its homemade waffle cones with a chocolate tip. 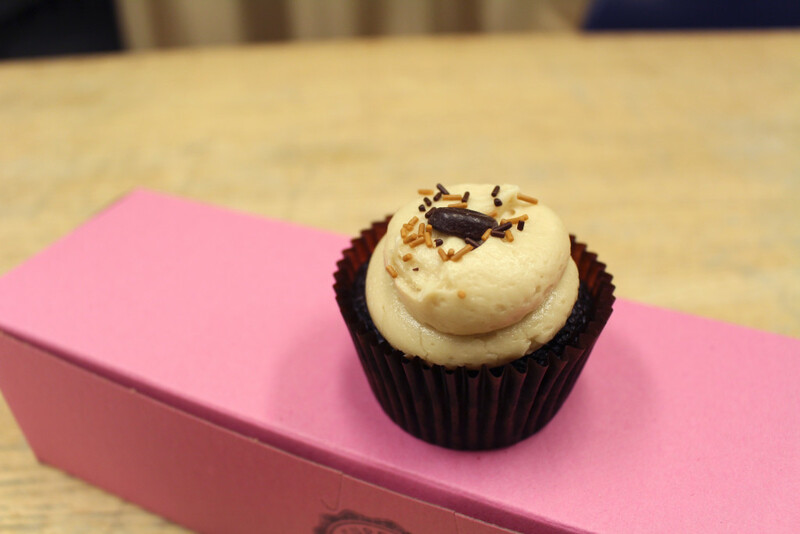 Even if you dislike alcohol, you’ll still enjoy Cupcakin’s Bailey’s Irish Cream cupcake. The buttercream frosting boasts just the slightest hint of Bailey’s Irish Cream that pairs wonderfully with the rich, chocolate base of this gourmet treat. Gather is prepares all of its food from fresh, local produce. Therefore, the menu changes often to match the seasonal goods. 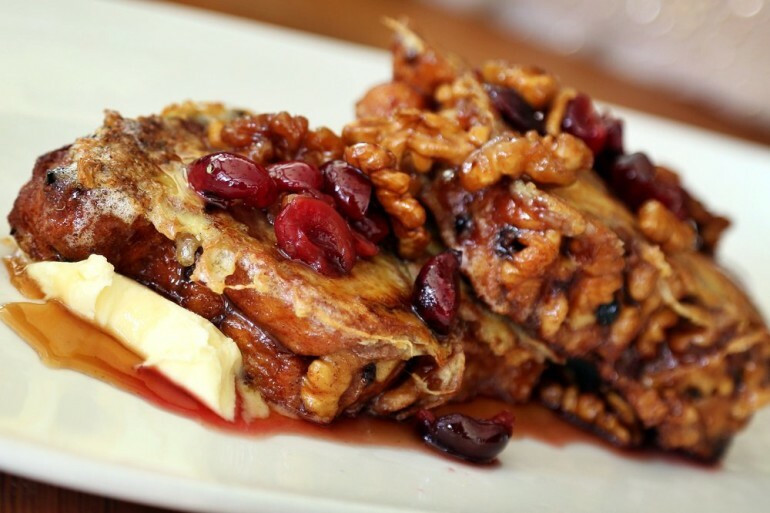 Despite the changes, their french toast is always a must-try. This hole-in-the-wall Italian restaurant only opens for dinnertime each day, but the wait is always worthwhile. 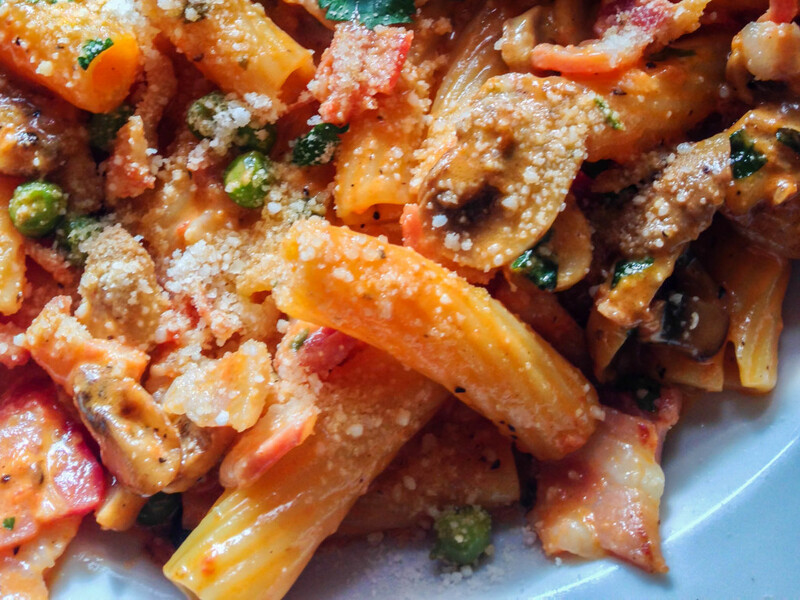 Each of its pasta dishes features an eclectic but carefully chosen collection of ingredients, like their rigatoni san giovanella with peas, mushrooms and ground nutmeg. 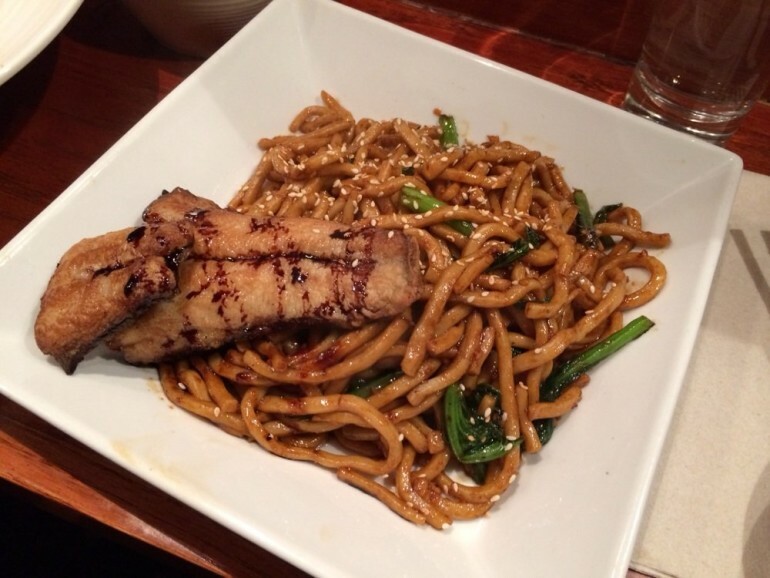 Noodle Theory may not serve authentic Asian fare, but its Asian-American fusion food is good enough to form its own cuisine. 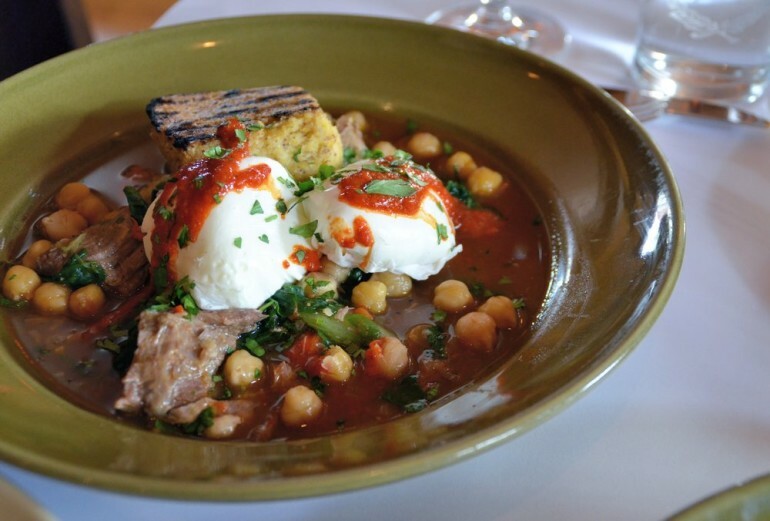 This restaurant pairs some elements of California’s cuisine, like Niman Ranch Pork and Grilled Fulton Valley Chicken, with traditionally Asian recipes to bring you a familiar dish seasoned with just enough surprise. 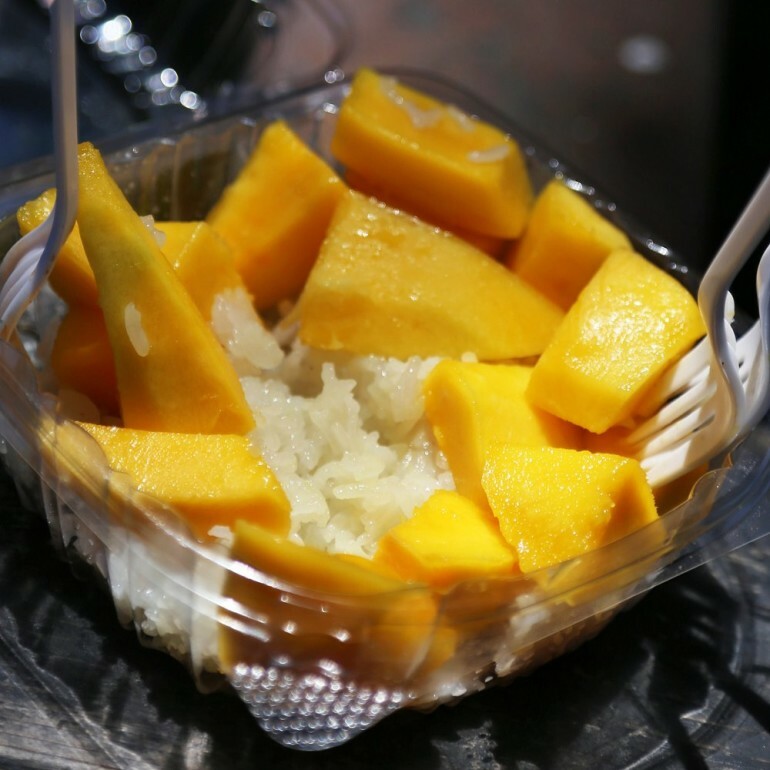 When you order Thai Temple’s mango sticky rice, on top of the usual cold chunks of mango paired with sweet rice (that is, indeed, sticker than the usual rice you get at restaurants), you will also be served creamy coconut gelatin for an added flavor that’s simply divine. 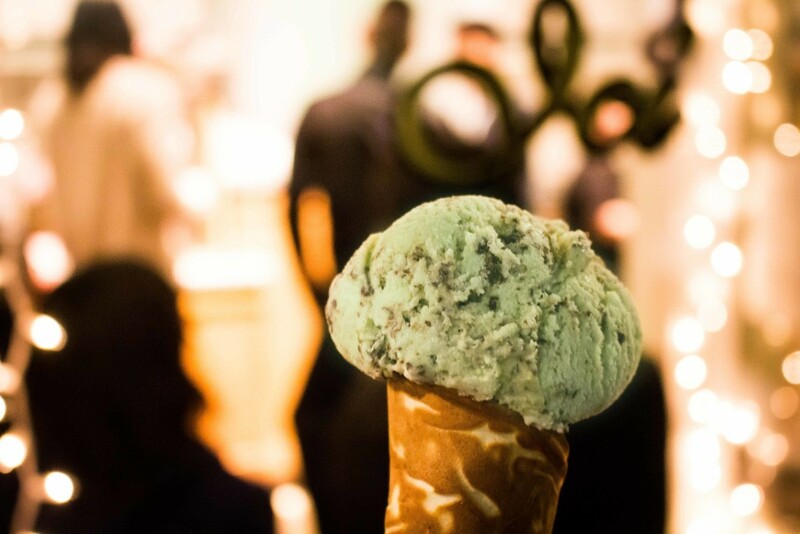 This liquid-nitrogen-crafted version has just the perfect hint of fresh mint with chocolate chips scattered perfectly throughout your entire scoop, all without the unnatural green color. Mac n’ cheese has never looked so glorious. 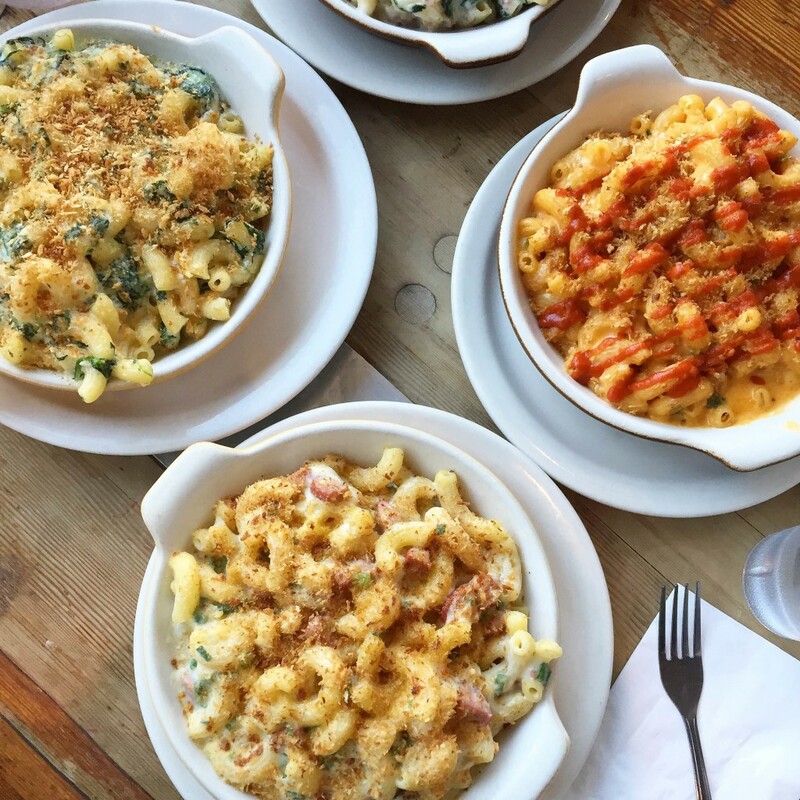 All of Homeroom’s entrees take unique, adult spins on mac n’ cheese by adding different types of cheeses, meats, vegetables and other toppings like breadcrumbs. 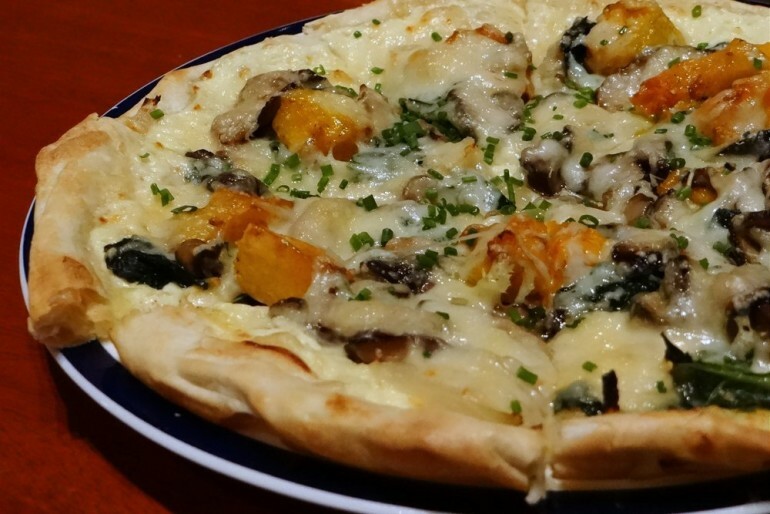 Their best seller, the Gilroy, comes in a bed of creamy Gouda and features pecorino and roasted garlic. 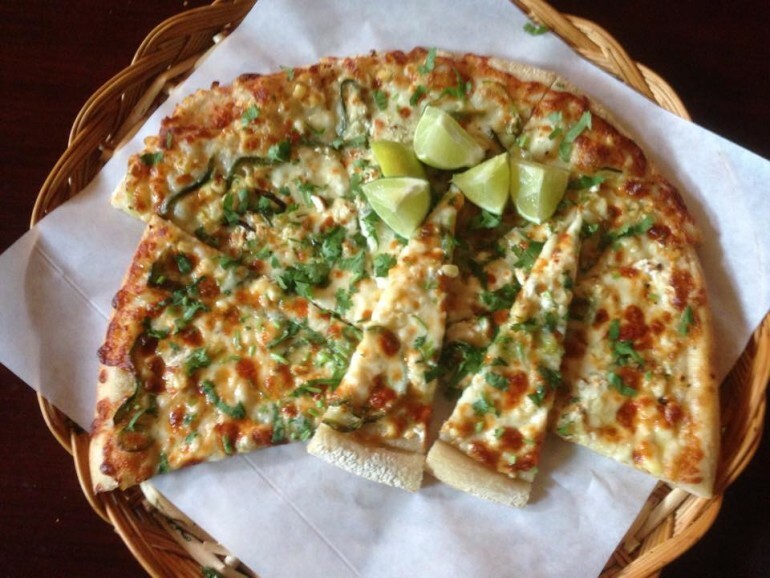 Jupiter, best known for its cozy outdoor patio, pizza and beers, is a local favorite for those 21+. 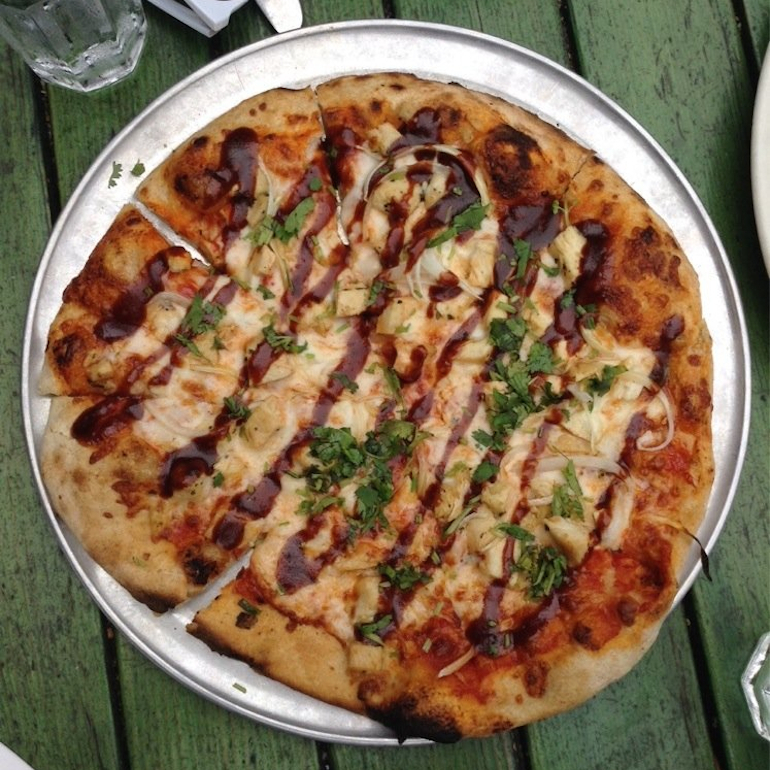 One of its most ordered pizzas is the Cassiopeia: roasted chicken breast with sweet onion, fresh cilantro and tangy barbeque sauce all on top of mozzarella and marinara sauce. 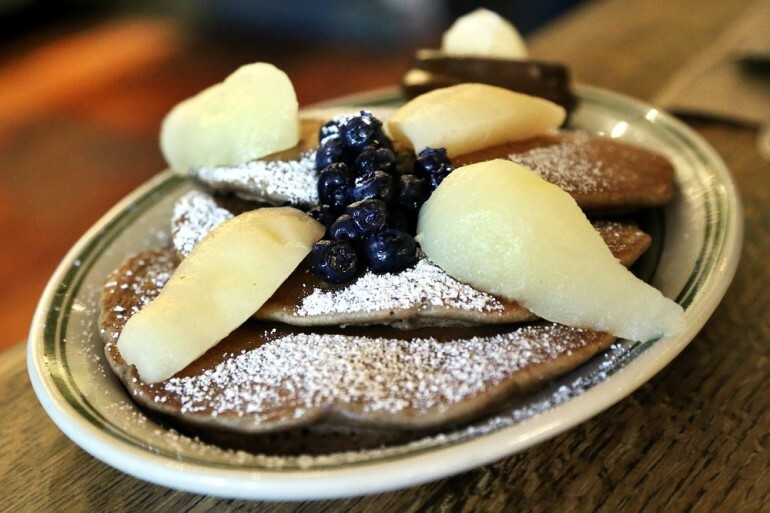 One of Berkeley’s vegan-friendly restaurants, Venus’ menu boasts a huge variety of breakfast, brunch and lunch foods that will please even those without dietary restrictions. 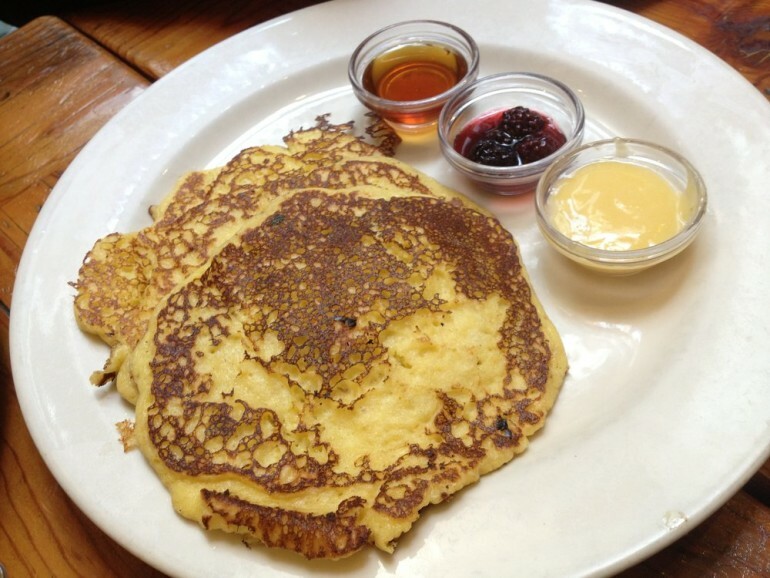 Though their lemon ricotta pancakes may look deflated, their flavor — combined with other toppings of syrup, lemon curd and berry sauces — is nothing to scoff at. 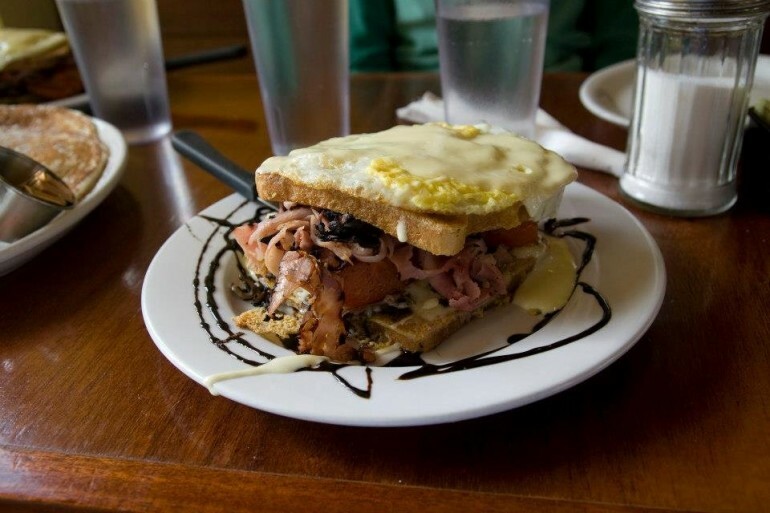 Its specialty, The Alameda — a sandwich of savory French toast filled with mushrooms, Hickory smoked ham, roasted tomatoes and Swiss cheese, and topped with two eggs over-easy, Hollandaise sauce and a balsamic reduction — will always surprise you in just how good it is, no matter how many times you’ve ordered it. U-Cha just opened this summer, but we’re already singing its praises. Its snow ice is the closest you’ll get to the real deal in Taiwan. 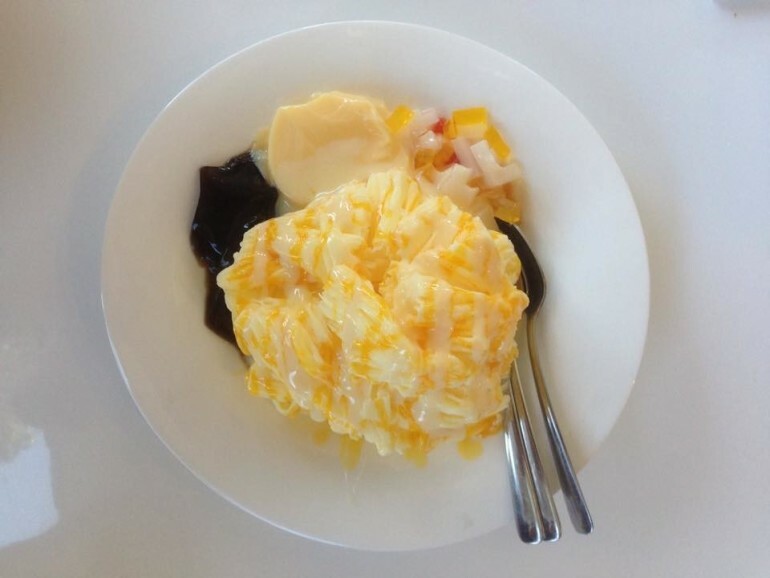 U-Cha’s version is light and fluffy, well-flavored and comes with a variety of toppings including grass jelly, pudding, rainbow jelly, mochi and condensed milk. This restaurant is known for its exorbitant prices, but its founder Alice Waters is known for being an American pioneer of culinary philosophy with the concept that the best foods should be made from foods that were grown sustainably and locally. And if that’s not enough to sway you, others have even compared Chez Panisse to finding France in a corner of Berkeley. At least your dinner bill will be less than a flight, right? KoJa Kitchen originally began as a food truck whose popularity allowed it to extend its roots into a storefront on Berkeley’s Telegraph Avenue. 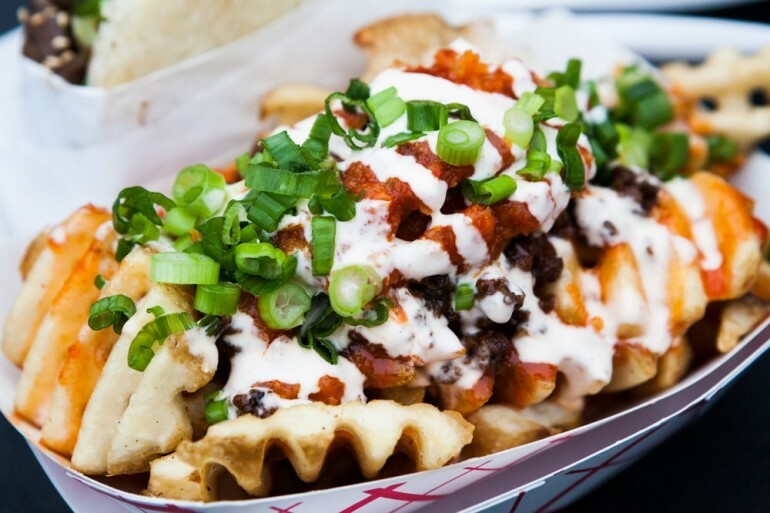 This fusion restaurant puts an American spin on traditional Korean and Japanese flavors, like in one of its most popular offerings: Kamikaze fries, crisscut fries served with Korean BBQ beef, green onions, Japanese sweet mayo and KoJa’s signature sauce. 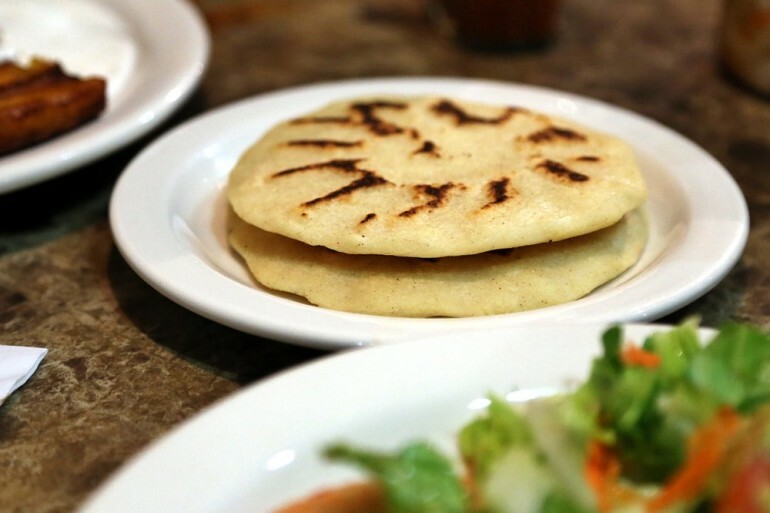 Pupusas are a part of traditional Salvadorian cuisine. These thick corn tortillas are stuffed full of ingredients like cheese, vegetables and meats like beef, pork or chicken. They’re incredibly tasty, but not overly filling so you can have one or two — or more — without feeling too guilty. This thin crust pizza arrives freshly baked with a unique variety of toppings ranging from Emmenthal cheese to hazelnuts, smoked bacon and even duck confit. Even if it looks like pizza, this one is definitely #classy. Urbann Turbann’s Asian fusion affair is the perfect place for the indecisive foodie to get a small taste of everything. 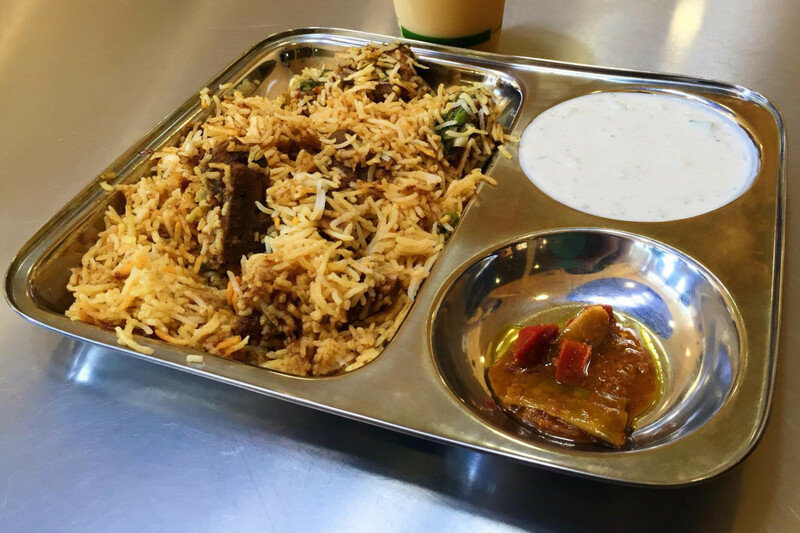 The restaurant is best known by students for being an “Indian Chipotle.” Our favorite is the butter chicken rice bowl that’s flavored with a filling, creamy sauce that’s less spicy, but just as delightful as the restaurant’s other choices. Trust us. 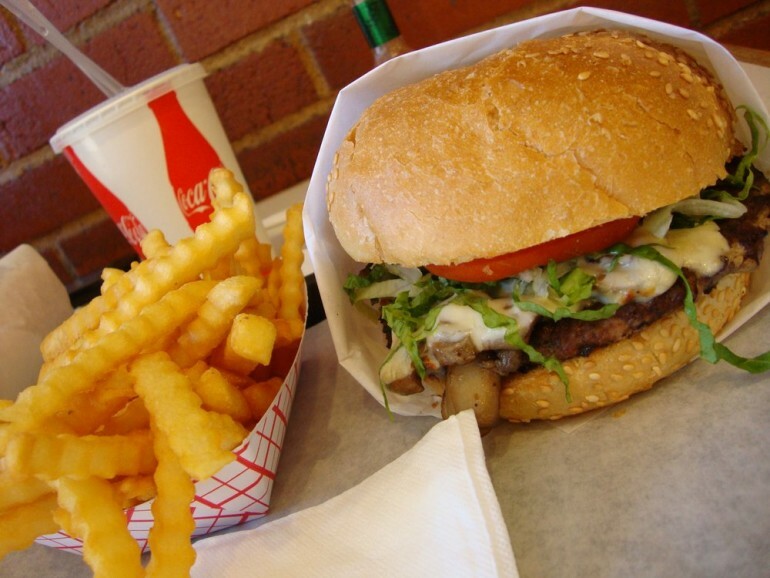 Even burger fanatics endorse Bongo Burger’s addition of sautéed mushrooms to their usual beef burger. While its All-American fare has the usual sauce, toasted sesame bun and fillings, the mushroom burger takes it a step further by adding an extra kick with the grilled mushroom flavor. If you’re looking for tender pork belly at a reasonable price, Joshu-Ya is the place to go. 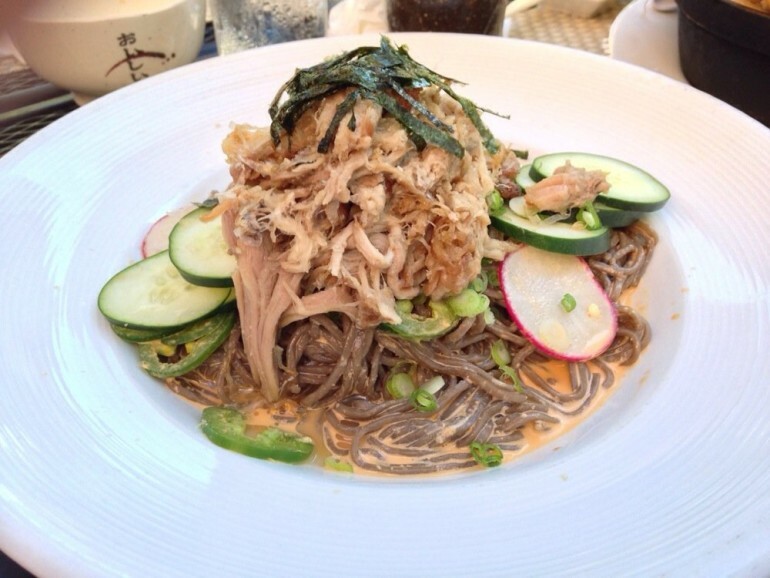 Its tender pork belly soba is flavorful with the occasional kick of spice from the added jalapeños. 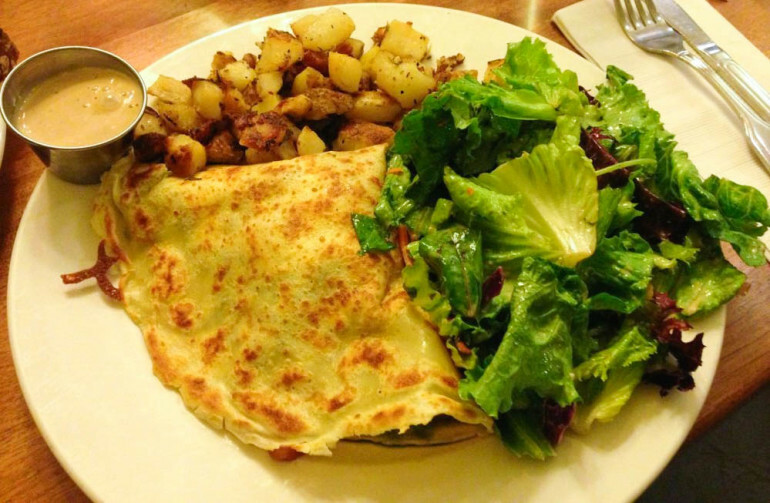 Crepevine’s wide selection of both sweet and savory crepes will undoubtedly offer a choice that’s up your alley. Our particular favorite? The Tuscany: grilled chicken breast, mushrooms, tomatoes, roasted almonds, provolone and feta cheese all slathered in pesto. If you’re looking for a sandwich that’s simply overflowing with good flavors, go no further. I.B. 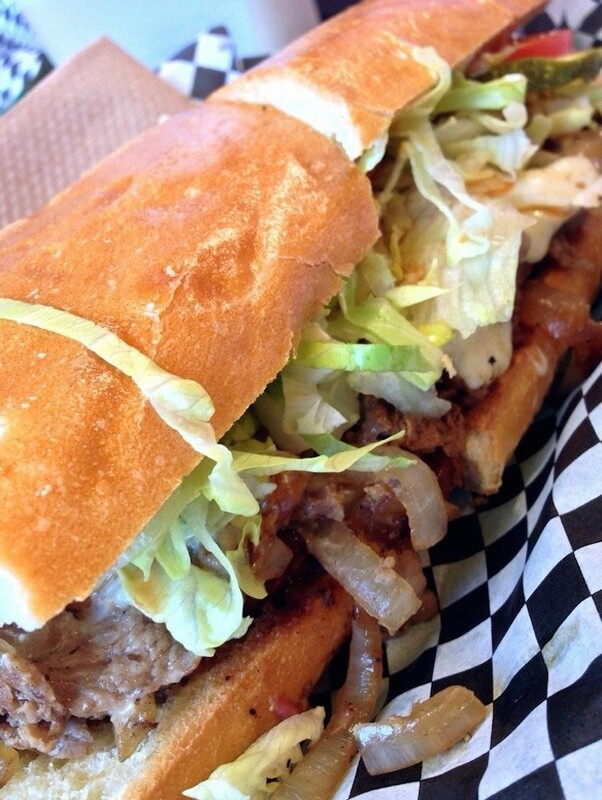 Hoagie’s knows how to make a cheesesteak sandwich that will leave you stuffed, but still craving for just another bite of their wonderful sliced beef and grilled onions. Don’t be turned away by the odd combination. As one of the #classy cafés close to campus, Musical Offering often serves special dinners before particular performances at Zellerbach Hall. This melted Brie, arugula and honey combo can be found on their breakfast menu and offers a delightful blend of flavors: creamy and sharp, all wrapped up with the sweet, thick honey. 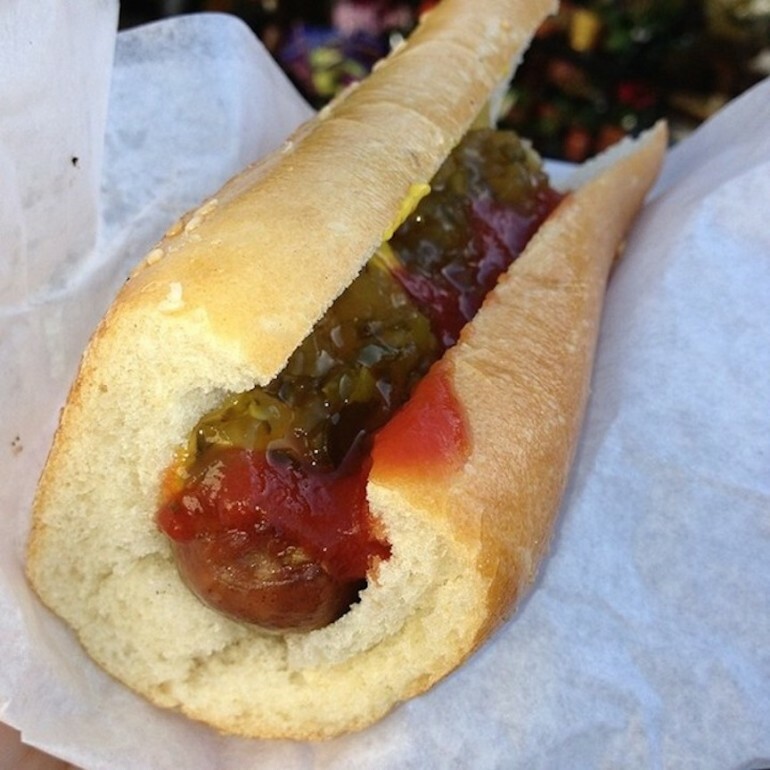 Though definitely not #classy, Top Dog is a longstanding Berkeley name best known for serving hot dogs to the late night crowd. One of their most popular is the chicken apple sausage that does, in fact, include actual bits of crisp apple inside. Tara’s serves unique, homemade ice cream flavors like basil, goat cheese blueberry and sweet corn. Our favorite combo? The cinnamon ice cream. It isn’t too sweet, and Tara’s unique, nutty sesame-flavored cone complements it just perfectly. If we’re honest, this is basically a frozen churro. We’re huge lemon dessert fans already, but Babette’s lemon tart blew even our minds. This tart sits within a crust that sits on the fine line between being crumbly but still staying together as you dig in. The silky, smooth and sweet lemon curd is topped with a generous cloud of toasted meringue that balances the tart lemon taste. 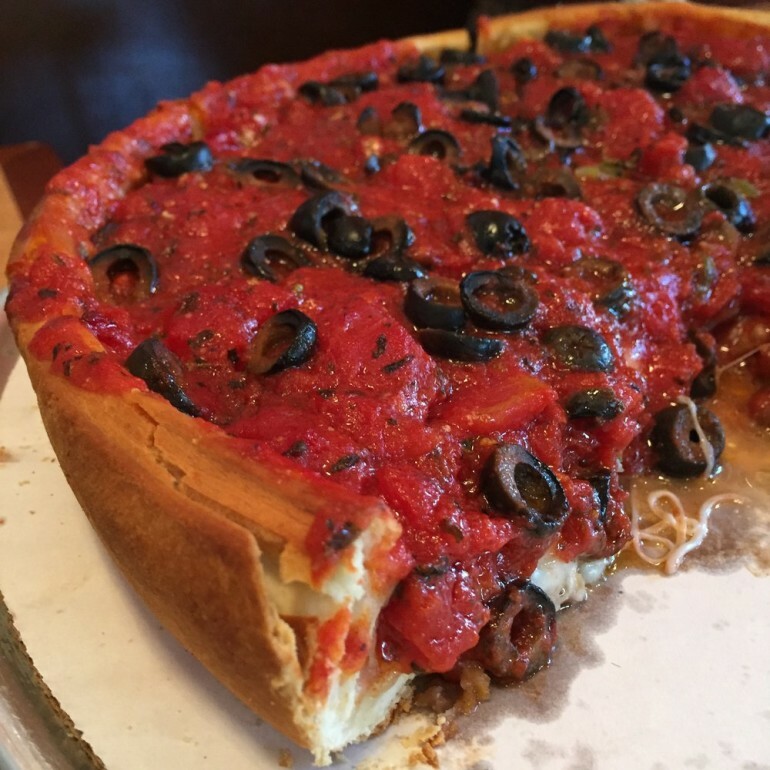 It’s a bit odd that Zachary’s Chicago Pizza first opened in the Berkeley area as opposed to Chicago, but since it provides us with such fantastic deep dish pizzas, we’ll overlook it. The Zachary’s Special is always our go to when we’re out with friends, because it’s hard to go wrong with the classic Italian sausage, green pepper, onion and mushroom combo. 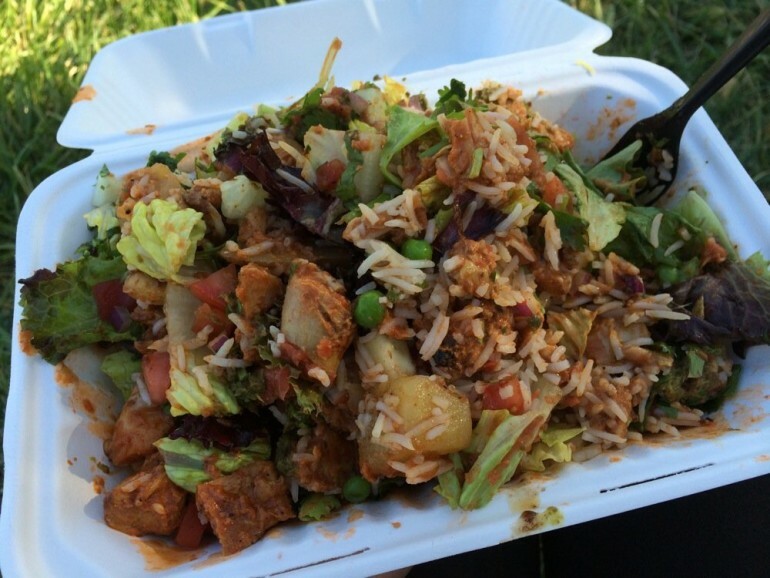 Vik’s Chaat has ruined almost all other Indian places for us. Strong, refreshing spices like cardamom, bay leaf and cinnamon flavor the braised lamb mixed in among the rice. The dish comes served with a side of pickled vegetables an raita, a yogurt cucumber sauce that pairs well with any part of the entire meal. Don’t be intimidated by Tigerlily’s eclectic menu. 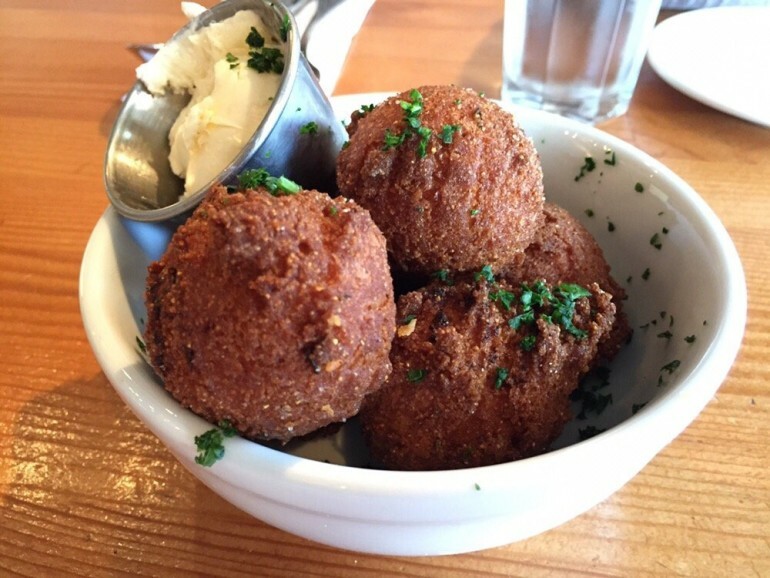 We swear by this dish. 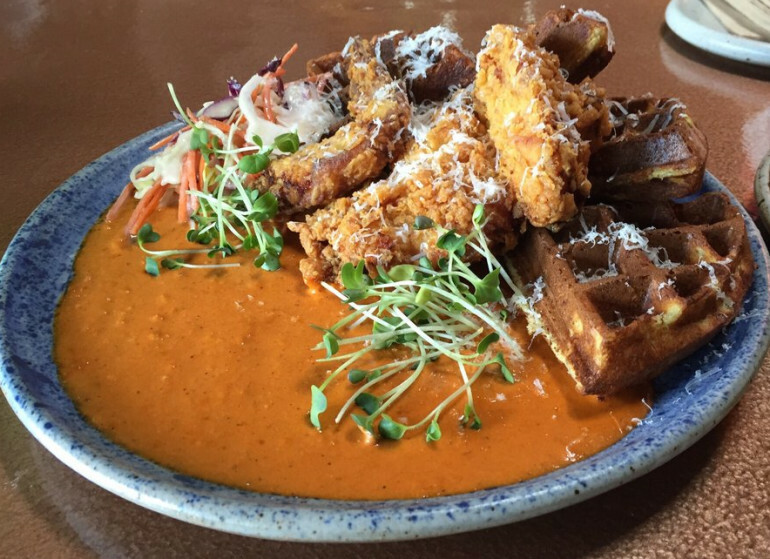 The waffle is crispy, the chicken is tender and juicy and the tikka masala sauce has just the perfect hint of Indian flavors that pairs well with the waffle rather than overpower it. This glorified pancake is served to you while it’s still nice and fluffy. 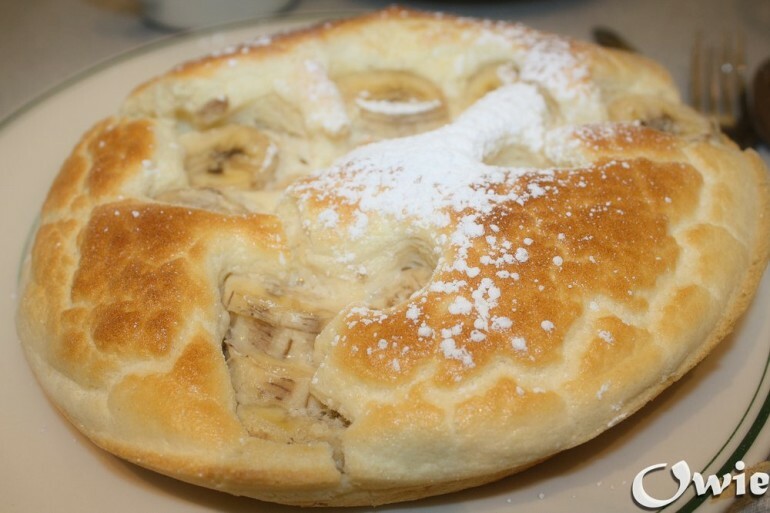 As you begin eating however, the pancake deflates, but fear not — it’s the only way you’re going to be able to reach the delicious, gooey filling of your pancake, flavored to your preference. Although our wallets always protest before and weep after a visit to Ippuku, its food never fails to satisfy and convince our bank accounts otherwise. 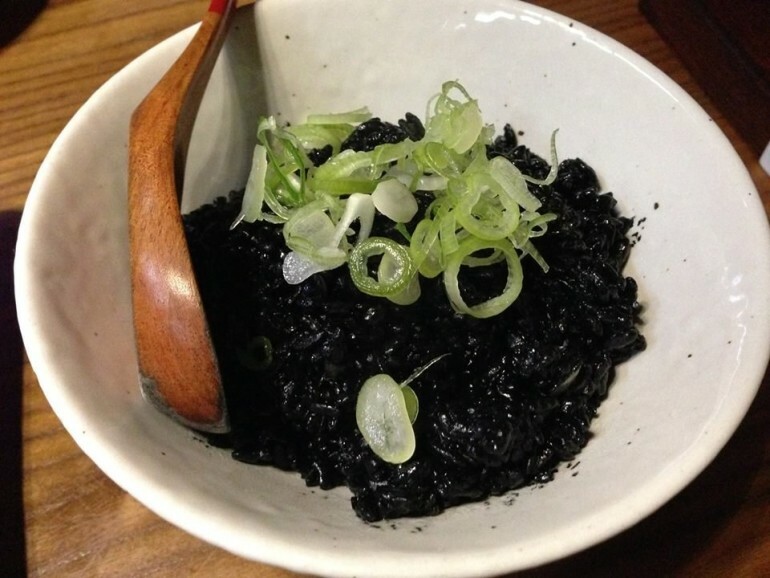 This squid ink fried rice takes a unique twist on the traditional Asian dish that will leave you satisfied, but perpetually craving for more. If you’re on the hunt for the perfect matcha latte, look no further. 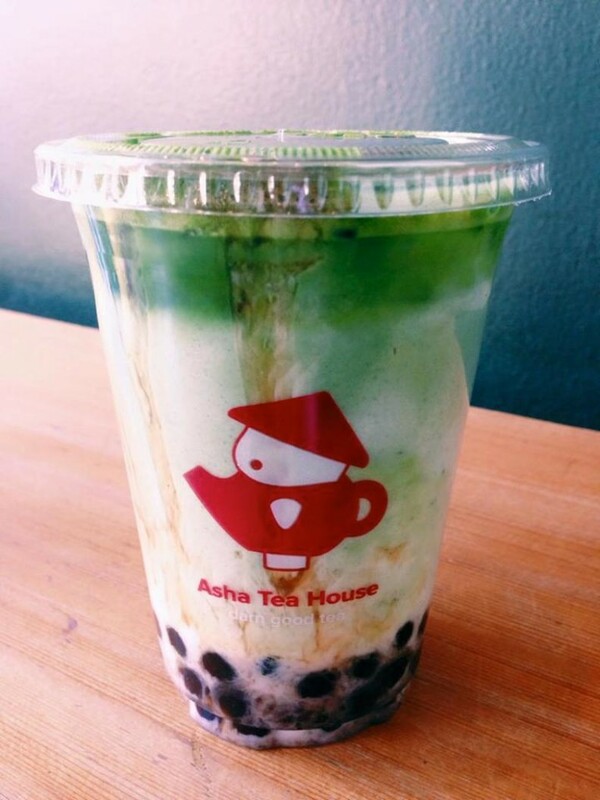 Asha’s matcha latte has won the approval of an entire Spoon team, which is no easy feat. This latte has achieved the perfect matcha taste for even the most discerning of epicures. 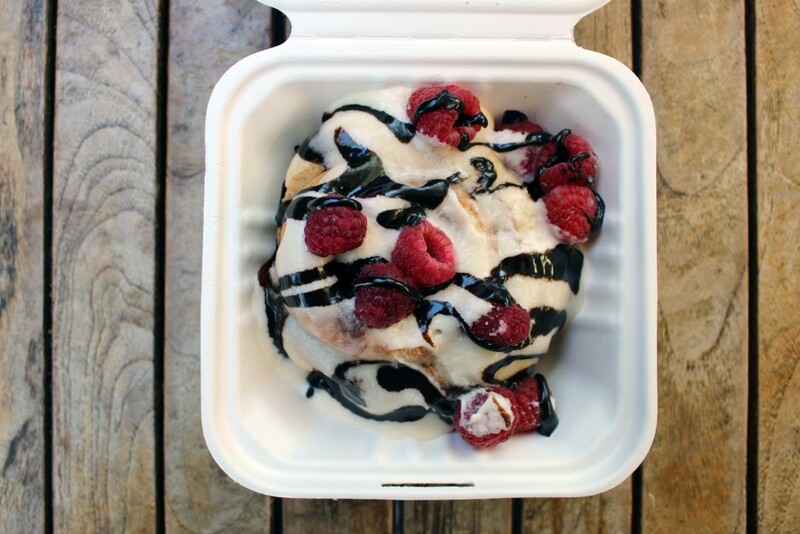 Pair it with boba and it’s almost a sin. We know. 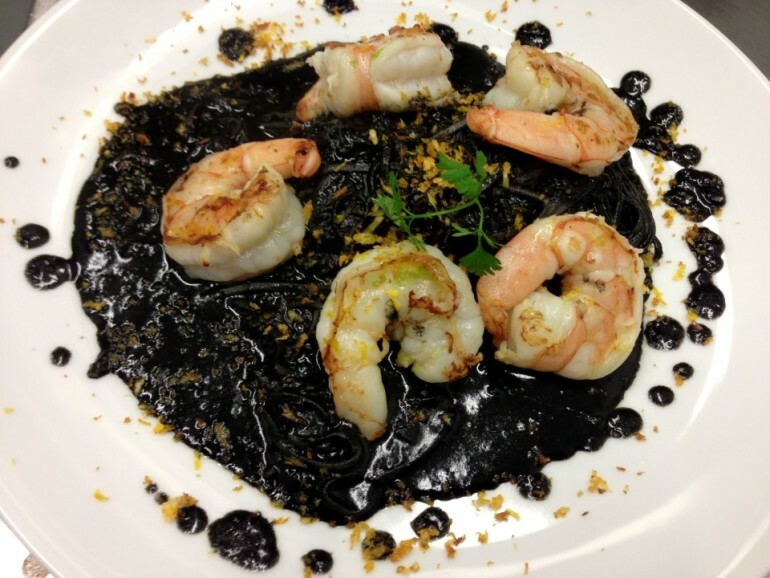 Squid ink foods aren’t the most aesthetically pleasing, but they’re definitely a gastronomical treat, and Belli is one of the few places in Berkeley that serves this delicacy. Don’t worry — if you end up chickening out, all of Belli’s menu selections are just as pleasing…even if they’re not as interesting. Craving gourmet pizza, but too lazy to walk? Sliver serves one pizza flavor daily to ensure that all its ingredients are as fresh as they can be. This establishment also features an expansive bar area, and if you come in the evening, you can also enjoy live music. 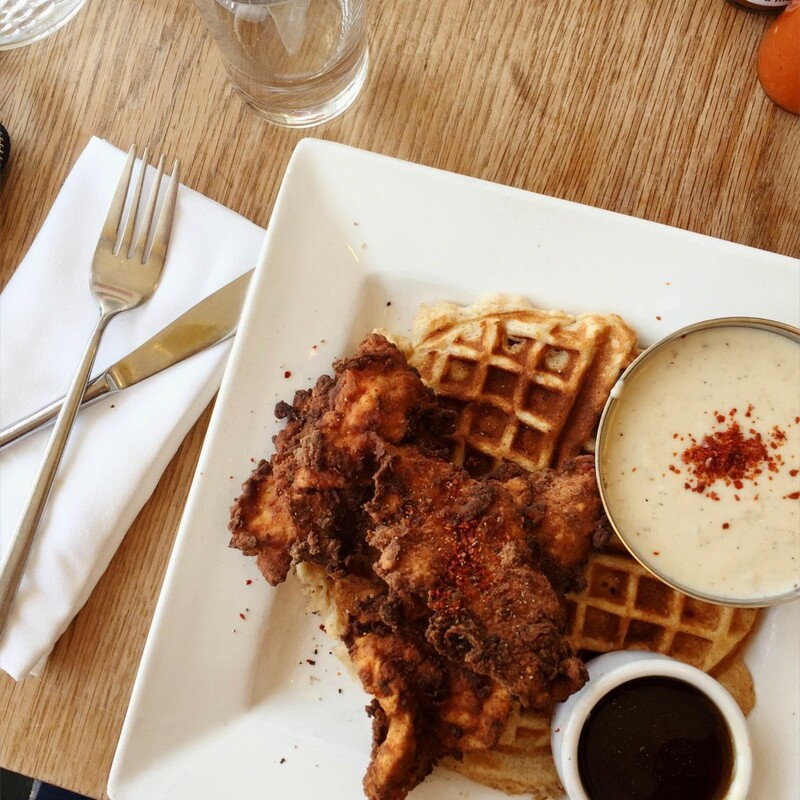 If you’ve somehow missed the chicken and waffles bandwagon, now’s the time to join by going to 900 Grayson. Its infamous chicken and waffles “Demon Lover” plate is a crowd favorite, and it will leave you wondering why you’d ever questioned this combination in the first place. If the wait at La Note just isn’t for you, wander down Telegraph to try out this quaint little French café. The establishment is located inside a small house, and its unmatched chairs provide more than enough charm to invite you in for brunch with a friend. Overwhelmed by all the choices? 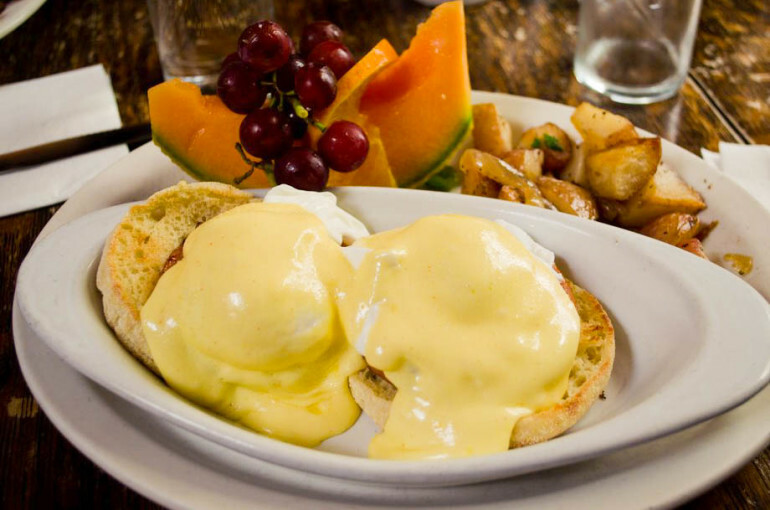 You can’t go wrong with their eggs benedict; its Hollandaise sauce is simply divine. Drooling? We’re not ashamed to admit that we are. You can spare yourself the admission by going forth and enjoying. You can thank us when you’re done with all 43.